Edition: First Edition, - may be Reissue. 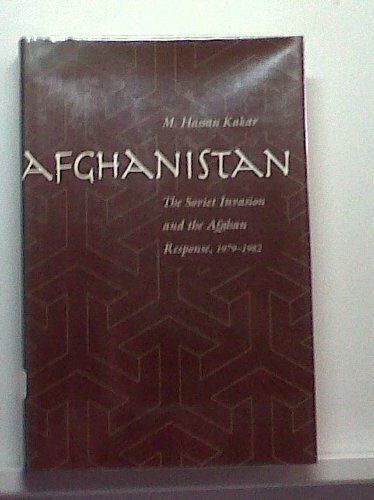 A professor at Kabul University and scholar of Afghanistan affairs at the time of the 1978 coup d'etat, Kakar vividly describes the events surrounding the Soviet invasion in 1979 and the encounter between the military superpower and the poorly armed Afghans. The events that followed are carefully detailed, with eye-witness accounts and authoritative documentation that provide an unparalleled view of this historical moment. Because of his prominence, Kakar was at first treated with deference by the Marxist government and was not imprisoned, although he openly criticized the regime. When he was put behind bars the outcry from scholars all over the world possibly saved his life. In prison for five years, he continued collecting information, much of it from prominent Afghans of varying political persuasions who were themselves prisoners. Kakar brings firsthand knowledge and a historian's sensibility to his account of the invasion and its aftermath. This is both a personal document and a historical one - Kakar lived through the events he describes, and his concern for human rights rather than party politics infuses his writing.